We are offering Canvas Grocery Bag. 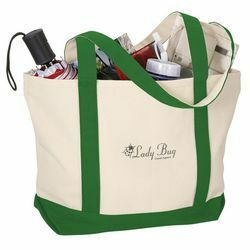 SIZE A : 16' X 16" X 6"
SIZE B : 14' X 14" X 6"
DESCRIPTION : 150 gsm natural cotton grocery bag customize color can offer if qty of bag is 2500 pcs & above bag can be personlized by logo by the method of print & embroidery. Our Grocery Bag are made by a team of skilled craftsmen. Offered with standard specifications these are highly preferred by our client. The experts also oversee the whole manufacturing process . Our food grade jute bags are safest to pack food products, especially for the coffee and cocoa beans and edible nuts. These bags conform to the international quality standards. Our food grade products are widely used by various agro industries. 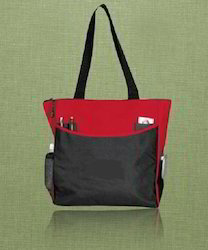 Being one of the trusted organizations in the market, we are engaged in providing a wide range of Grocery Cotton Bag. Banking on the skills of our qualified team of professionals, we are instrumental in offering supreme quality range of Jute Grocery Bag. - Size: 19H x 20W x 11G CM. Keeping in mind the changing requirements of the customers, we are involved in offering unmatchable quality of Cotton Grocery Bag. The offered Cotton Grocery Bag is available in market in bulk in elegant colors and in different sizes. Further, the offered Cotton Grocery Bag is recommended for its optimum quality. we can only provide the material in our local area and are not able to provide bulk order. We are one of the most renowned manufacturer of Grocery Bags.